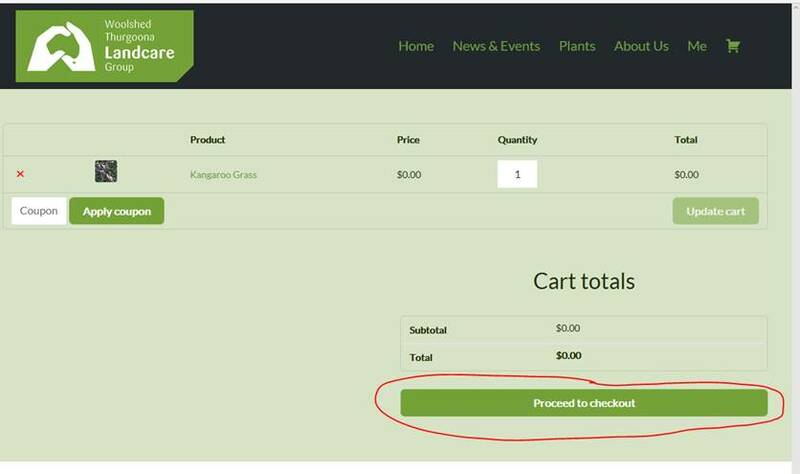 We have had a few enquiries come in about how to place a plant order, so have developed some step by step instructions to assist residents. 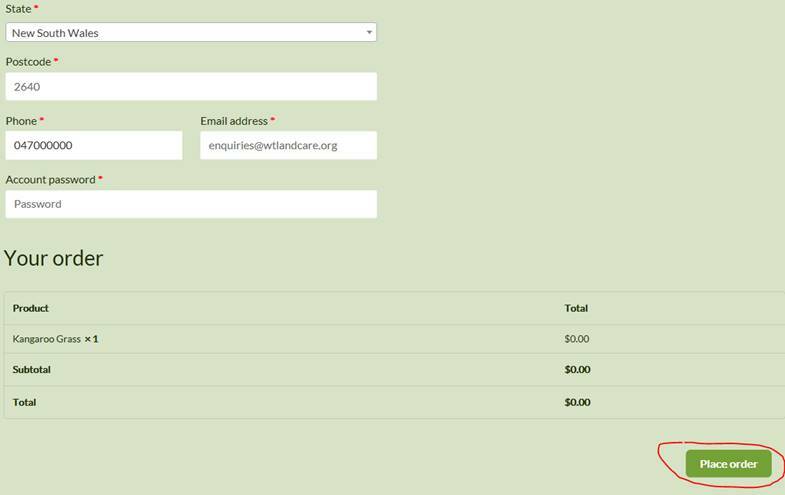 Fill in all the mandatory fields on the form and click on the “Place order” button (circled below) enter a password that is at least 8 characters long that has a combination of upper and lowercase characters and numbers. That’s it your order should be placed.